I hope everyone had a restful holiday weekend! This week's TWiME is coming out later than most (I got sucked deep into some project work! ), but don't let that keep you from checking out all the great things to hit the world of math ed last week. May 20: Ilana Horn wrote, "Who Belongs in our Math Classrooms?," a wonderful post about student affect and what kind of teacher actions and classroom cultures get in the way of students feeling like they belong. May 21: Are you ready for "The Summer of Math?" 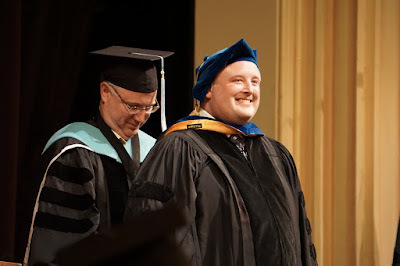 Christopher Danielson is, and he wants to help you be ready, too. Christopher has put together a subscription service where you can get a monthly box of math goodies to help keep your kids thinking mathematically all summer long. May 22: John Rowe shows off a number of approaches to periodic functions, each of which was inspired by work of other Twitter-using math teachers. In this post you'll see a mix of "Which One Doesn't Belong," some Desmos activities, and "reversing the question." May 23: Katrina Schwartz is back yet again with another post on the KQED MindShift blog. "How A Strengths-Based Approach to Math Redefines Who Is 'Smart' uses the recent NCTM session about "Railside High" to describe complex instruction and efforts to change the culture of math classrooms and math departments. May 24: In a post about so-called "second math classes," Sara VanDerWerf describes "The #1 thing I did in my support math classes." Sara provides a long list of good ideas, focusing in on what she thinks is the single most important thing to help students who persistently struggle in math classes. May 25: Jamie Duncan wrote "First Grade Fraction Talks... What?." I wondered how she did this without straying too far from the Grade 1 standards, but I think she did so rather nicely — there's no use of fraction notation, and students reasoned their way by focusing on the number and relative sizes of shapes. May 26: Fawn Nguyen shared a post called, "A Lesson Salvaged" in which she describes how a MAP went poorly, and how she gave the task a second try with the help of Geometer's Sketchpad. I'm keeping this very short and very simple this week: Last week's Global Math Department talk is here (on interleaved problems), this week's is here (on the math behind game shows), and be aware that due to technical difficulties, NCSM has extended their proposal deadline for next year's annual conference to June 3rd. The University of Exeter reorganized their website and wiped out Paul Ernest's archives of the Philosophy of Mathematics Education Journal. 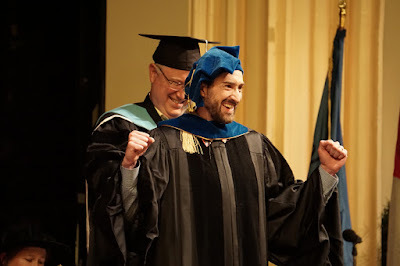 I found Ernest's new faculty page and hope an updated link appears there soon. I have little new to report here, but I'm excited that Geometry Point in Romero Park is open in Lafayette! I'll have to grab my camera and check it out someday soon. May 13: The first time I saw "WODB" (Which One Doesn't Belong?) mentioned on Twitter, I wasn't quite sure what to make of it. But when you see it in action, skillfully facilitated, you get it. Tracy Zager shared with us "Straight but Wiggled," in which a bunch of first graders make sense of ideas like "diamond," "straight," and "vertiwiggle." If you're familiar with Paul Cobb et al. 's work on the emergence of sociomathematical norms in classroom group activity, it makes it extra interesting to see what happens here. 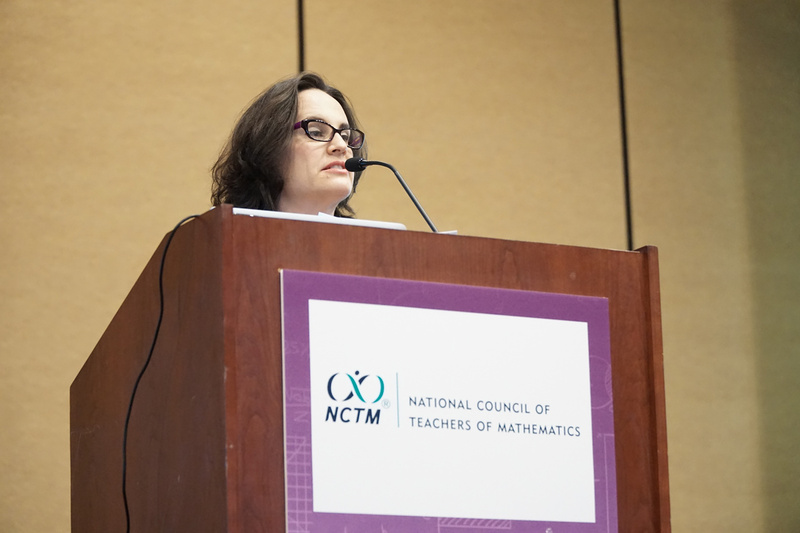 May 14: If you're looking for Ignite talks from the 2016 NCTM Annual Meeting, or prior meetings, you can find them at The Math Forum. May 15: It's a return appearance for the Ontario Math Links, this time for the week ending May 13th, 2016. May 16: Jon Orr describes "Double Clothesline – Solving Equations," a very nice approach to understanding solving equations. Instead of a balance or algebra tiles, this uses double number lines in a way that gives more focus to the quantitites, rather than choosing or performing operations. May 17: Dan Meyer is thinking about the informal that supports the formal understanding, which he illustrates in the post "Blue Point Rule." This is familiar territory for those of us who study Realistic Mathematics Education and its approach of progressive formalization. RME uses the terms "informal," "preformal," and "formal," and what Dan's wrestling with is what I'd call the "preformal" in RME. It's important that we call it out because it's really tough to make that last transition from a preformal model or conception to the use of a formal equation or rule. Dan's collecting "Before I ask for (Formal X), I ask for (Informal Y)" statements, some of which hint at common models used in RME. May 18: There were 14 more shares of Dan's "Blue Point Rule" post, but I didn't want that post to completely overshadow this post by Matt Larson, which also got (re)tweeted a lot on the 17th and 18th. 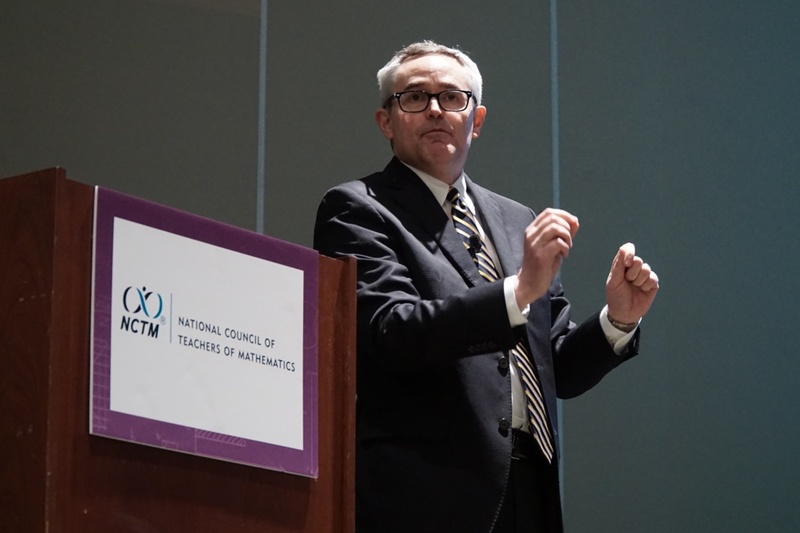 "NCTM Is Its Members" talks about NCTM understanding the needs of its members and what they're doing to meet them. I'm pretty excited about some of the directions NCTM is going, and they're moving a bit faster than I expected when I was thinking about these issues a while back. If you have feedback and ideas for Matt and NCTM, be sure to go to the post and leave them. You can see what other people have said and Matt's replies, and it looks like a pretty good discussion so far. 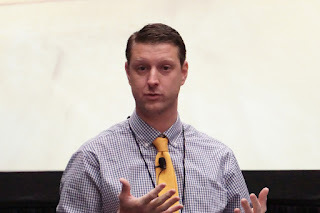 May 19: The Chalkbeat story "How one Tennessee school district is getting students excited about math" describes number talks in a 1st grade classroom. "Modeling With Mathematics" is a Teaching Channel post by Elham Kazemi and Kendra Lomax that uses the lesson structure of Three-Act Tasks to focus on modeling. "Statistical Literacy: Simulations with Dolphins" is a (free for now!) Mathematics Teacher article from Jeremy Strayer and Amber Matuszewski that describes a six-phase structure for statistics lessons using simulations. I'm eager to listen to Sam Otten's podcast with Thomas Carpenter. The episode is 28 minutes long and if I had 28 minutes to talk with Tom Carpenter, I probably wouldn't get past 1970. I'm guessing Sam did better than that. In the Global Math Department last week, Tracy Zager gave a talk called, "How Do They Relate? Teaching Students to Make Mathematical Connections." Next week, Yana Weinstein and Cindy Wooldridge will talk about "Improving Math Education with Interleaved Problems by Global Math Department." Deadlines: NCSM Annual on June 1 and RUME on August 19th and December 2nd (for posters). 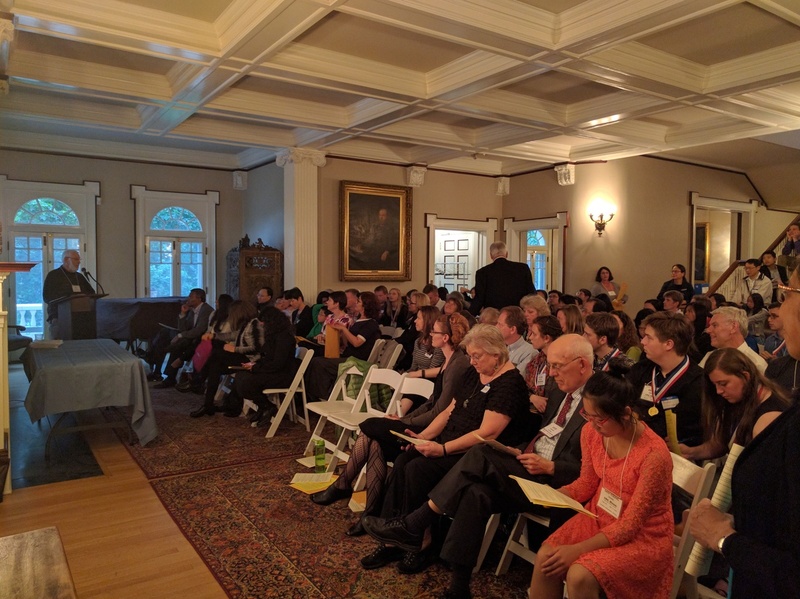 The highlight of my week was attending the Colorado Mathematics Awards at the Grant-Humphreys Mansion in Denver. Organized by Richard Gibbs, David Carlson, and the CMA steering committee, this event recognizes students for outstanding performance in MATHCOUNTS, the American Mathematics Contents 8, 10, and 12, Moody's Mega Math Challenge, the USA Mathematics Olympiads, the American Regions Mathematics League, the William Lowell Putnam Mathematical Competition, the International Contest in Modeling, the Interdisciplinary Contest in Modeling, and some teaching awards. Whew, did I remember them all? It was great to see students ages middle school through college all being recognized for their outstanding work, and the fact that Colorado has a special event that brings all these people together is really something to be proud of. While it was great to join everyone in this event in its 21st year, I think a big challenge going forward is to make sure opportunities to participate on math teams and in math competitions gets spread across all of Colorado. As a former MATHCOUNTS kid from a 5200-person rural town in Iowa, I noticed that most of the awardees were students from large, high-SES schools on the Front Range. I realize I only saw the winners, not all the participants, but the small-towner in me would love to see some students there representing places like Gunnison, Ordway, and Walden. Geographic diversity is one of a number of struggles concerning math competitions, so if you'd like to expand the opportunity to participate in math competitions at your school, let me know and I'll see if I can get you connected to people who can help. May 6: "Why Math Education Doesn't Add Up" along with a radio interview with Steven Strogatz appeared on PRI's Innovation Hub. Strogatz grapples with a tough truth: In general, most everyone gets through their adult lives just fine without using much of the high school math they were required to take. And yet while we all forget the quadratic formula, without consequence, we seem to collectively struggle with essential numeracy. May 7: If there's been a more bizarrely disappointing story this year to hit TWiME, I can't remember it. "Ivy League economist ethnically profiled, interrogated for doing math on American Airlines flight" describes xenophobia and paranoia run amok. May 8: Is this awkward? I feel like this is awkward. (Just kidding!) Somehow I didn't discover the weekly "Ontario Math Links" posts until a month or two ago, after I started TWiME. The Ontario Math Links predates TWiME by several years, and it's really my fault for not knowing about it. I'm happy to say that my posts and their posts are more complementary than redundant. 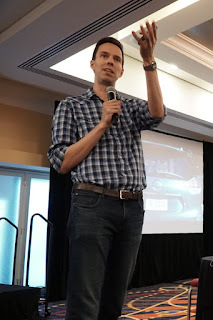 The Ontario Math Links for the week ending May 6th, for example, highlights resources shared and talked about during the annual conference of the Ontario Association for Mathematics Education, something that didn't come up on TWiME. May 9: On Monday people were (re)tweeting a post by John Rowe called "The Best Worksheet I have ever (re)written." It uses the "reversing the question" method credited to Fawn Nguyen to take some pretty run-of-the-mill textbook problems and give them some new direction. May 10: Tuesday is Global Math Department day, and people were excited for Carl Oliver's "Teaching the Mathematical Practices Through Non-Routine Problems." May 11: Instead of listening so much to Andrew Hacker, Patrick Honner says "When it Comes to Math Teaching, Let's Listen to Math Teachers." Commentary: Listening to math teachers is a big part of my job. It's probably my favorite part. I agree with Patrick, that we should be listening to math teachers. But I also want to point out that listening isn't the same as getting answers, and you won't need to listen to very many math teachers in order to find differences in opinion. 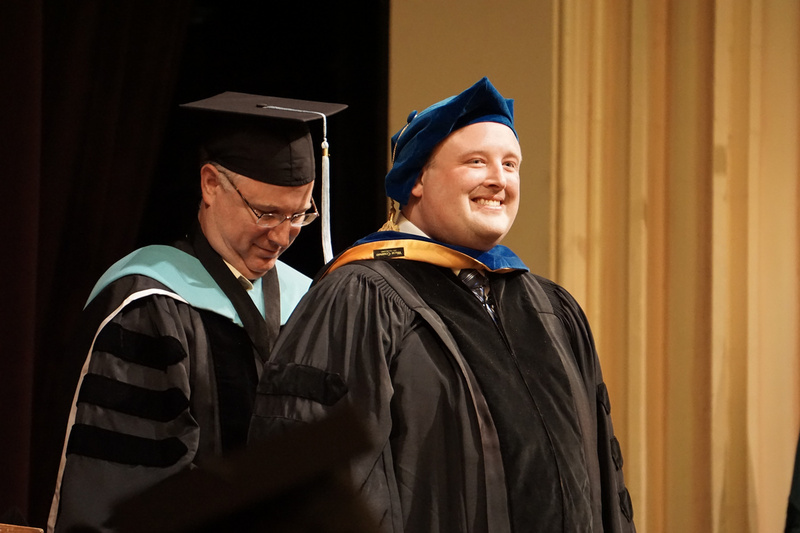 But in and of itself, that is one great reason to listen — the needs, wants, and beliefs of the math teaching community are not distributed evenly. 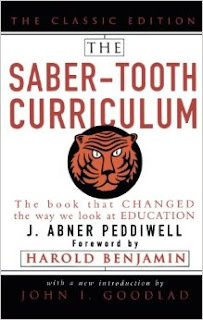 Debates about the value of the content we teach existed before Hacker's name showed up in the New York Times, and math teachers will still be debating it long after the paperbacks of Hacker's book are cleared from the bargain bin. In fact, everyone should read The Saber-Tooth Curriculum (1939) to see how, possibly, some form of the Hacker debate has been happening since the dawn of mankind. From the math teachers I've been listening to (like here and elsewhere), this particular debate plays out more or less just as you'd expect: a system designed to open opportunities to more students (by putting more on a path to calculus) might inadvertently now be too restrictive and out-of-date (by making our mathematical pathways too narrow). It's a debate worth having, and Hacker is welcome to add his voice, but listening too much to any one voice is not a very good formula for progress. May 12: People were still buzzing about Patrick's post from the 11th, but not far behind were tweets about "Twitter 6000," a set of resources courtesy of the ATM. I mentioned Carl Oliver's Global Math talk above, and next week you should be on the lookout for "How Do They Relate? Teaching Students to Make Mathematical Connections by Global Math Department" by Tracy Zager. The first 2016 issue of the Journal of Statistics Education is now available, looking all bright and shiny on its new Taylor & Francis home. Annoyingly, the shiny new home does a lousy job at telling me where the authors are from, when it tells me at all. It isn't math-specific, but you should be aware that CDE is conducting an Every Student Succeeds Act (ESSA) listening tour around Colorado. There's still a lot of ESSA details to work out for CDE and districts alike, so if you want to know more or have some input, these meetings are a great place to start. NEW: Platte Canyon High School in Bailey, CO, needs a math teacher for grades 9-12. At this time, the schedule includes Algebra 1 and several honors classes, including Precalculus. Bailey is a beautiful, small mountain community about an hour southwest of Denver and PCHS enrolls about 300 students. Class sizes are in the twenties or lower. Please apply to www.plattecanyonschools.org. Eagle Valley HS (Eagle County) is looking for a teacher certified to teach dual enrollment courses. Applicants who have taken masters-level math courses and can be credentialed with CMC to teach dual enrollment courses will receive strong consideration. See the school website for more information and here to apply for the job.